Sore neck, chin or back? GelRest can help. The New Gel Rest Micro shoulder rest. As shown in The Strad May 2017 as a featured product. The Micro is a super-low (3/8" or 9mm) shoulder rest for young students, players with baroque instruments, violists, or anyone who needs a shoulder rest that adds a minimal amount of extra height. The name Micro comes from the 'micro adhesive' that is used to attach this product to your instrument. Micro adhesive sticks securely, but can be removed and re-installed hundreds, even thousands, of times without losing its stick! That's because micro adhesive sticks via tiny suction cups instead of sticky tape, so it lasts far longer than ordinary tape based adhesives. Stick it in place, then remove it. Over and over. The Micro is 3" in diameter and needs no rubber bands. 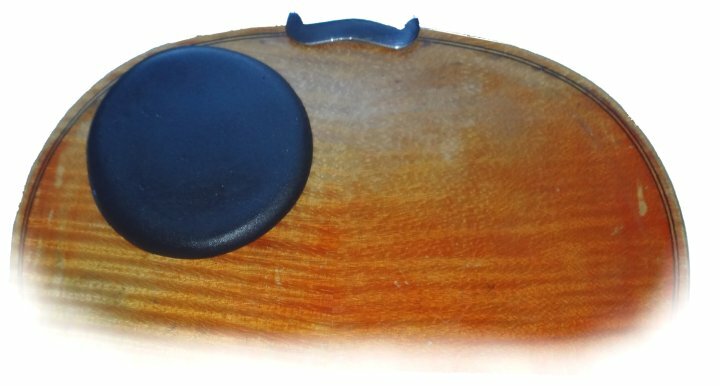 A violin or viola chin rest is often carved from hard wood or made of plastic. 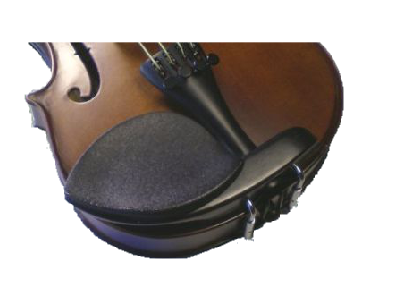 The contact between this hard chin rest surface and our vulnerable face, chin, and neck has caused generations of violinists, from beginners to professionals, to endure skin irritations, bruises, and red spots. Often called a violin hickey, or rose patch, these bruises are more than just unsightly; they can be quite painful and typically result in a reduction in practice time, at the very least. Worse yet, if your chin rest is gouging into your face the tension that results can easily travel to your hand and fingers, especially in the left hand, and can cause back and shoulder pain which can affect your bowing arm. So having a comfortable instrument is crucial for mastering basic techniques like playing in tune, vibrato, and even bowing. A chinrest cushion doesn't have to be bulky and unattractive. That's why GelRests are available in 8 different shapes with each one designed to fit a wide variety of chinrests. 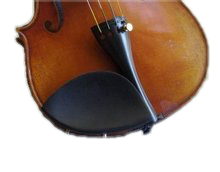 Viola chinrests are often exactly like violin chinrests. Each GelRest is made in the USA from a special vinyl gel material that has the feel and texture of our own human skin. 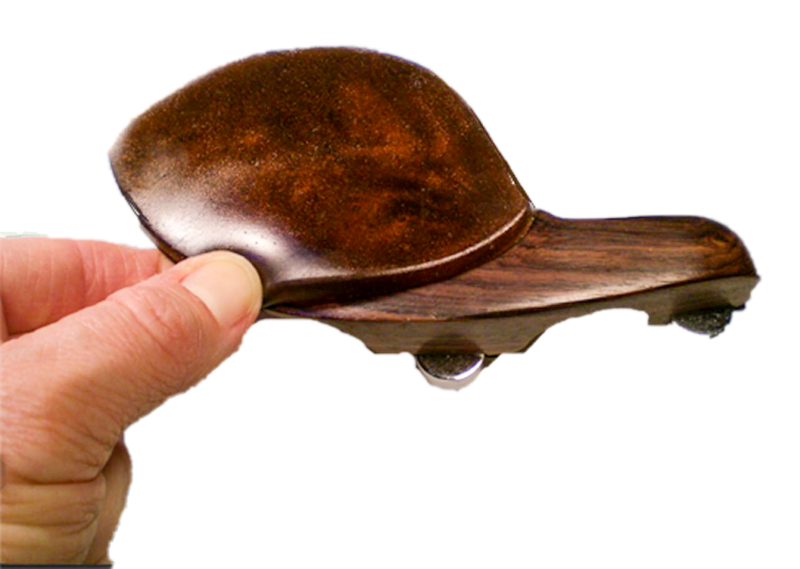 It is truly form-fitting and makes any violin chinrest feel like it's custom made. You really have to feel it to believe it! There have been many improvements to the Gelrest over the years but nowhere more so than with the peel-and-stick adhesive. Adhesives need to stick tightly, but allow for easy removal. The current adhesive is getting great reviews. While they stick tightly, you will find that GelRests are also easy to remove. To remove slide a nail under both the GelRest and the adhesive and gently pull up. To clean, spray any mild, streak-free cleaner on a soft cloth or paper towel and wipe on and off. As with most adhesives the GelRest adhesive lasts longer if it is not removed too often. Clean your GelRest in place rather than removing for cleaning. GelRests can be trimmed for exact fitting. Use scissors or a sharp knife. GelRests are not slippery, even when wet. So holding your instrument is comfortable and effortless in both hot and cold conditions. GelRests are specially coloured to match the 3 traditional woods for violin fittings: Ebony, Boxwood, and Rosewood. Remove the chinrest from the instrument. Ensure that the chinrest is clean, dry and grease free. *Use the enclosed swab - UK ONLY - to finally clean the surface. Remove the two-part backing paper to expose the adhesive and fit the GelRest firmly to the chinrest working from the centre outwards. The backing paper peels from the GelRest easily if you carefully slide a fingernail underneath it. Wait 15 minutes before use. *Swab contains alcohol! Avoid contact with varnish! Fitting Guide 2016 - cut out and try DOWNLOAD. 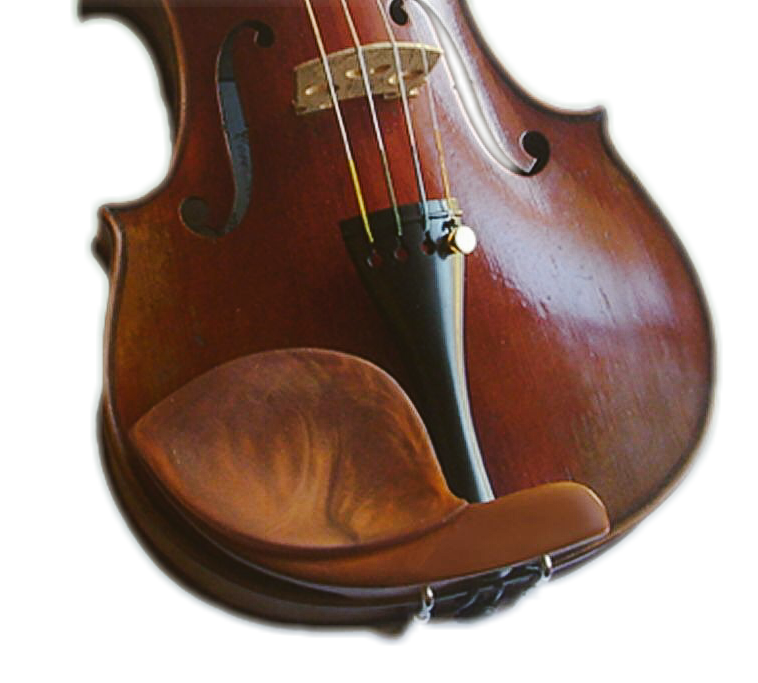 Shown here mounted on a typical Flesch style chinrest. Fits both violin and viola. 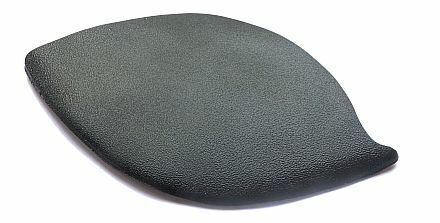 This simple oval shape is not only a great fit for your Flesch chinrest, but also fits Hill, SAS, and Wittner chinrests. It's never been easier to transform a hard wood chinrest into one that fits your face and jaw. Guarneri style GelRest, shown here mounted on a typical Guarneri style chinrest. Fits both violin and viola. Now you can transform a hard wood chinrest into one that feels comfortable, and looks good too. Dimensions: 105mm long by 65mm wide. Teka style GelRest, shown here mounted on a typical Teka style chinrest. Fits both violin and viola. The Teka is also a good choice for any long chinrest with a sharp point on the left side. Dimensions: 106mm long by 61mm wide. Strad style GelRest, shown here in the rosewood colour. This GelRest also fits most medium-sized chinrests, such as Medium Guarneri. Stuber, and Vermeer models. Dimensions: 95mm long by 60mm wide. 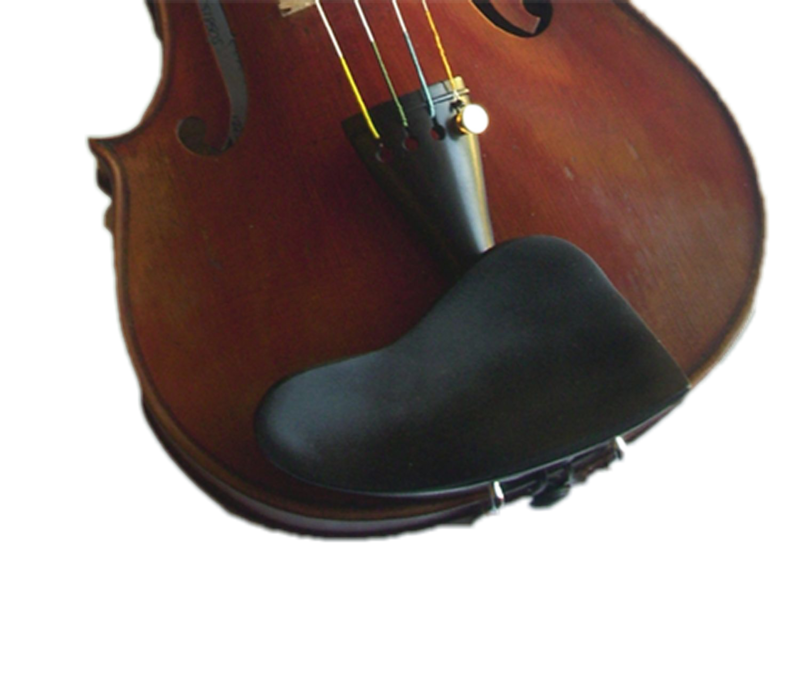 Guarneri 1/2-size GelRest, shown here mounted on a typical 1/2-size Guarneri style chinrest. The 1/2 size also fits 1/4 size chinrests. The 1/2 size even fits many full-size chinrests, like the Dresden 4/4. Dimensions: 55mm wide by 85m long. 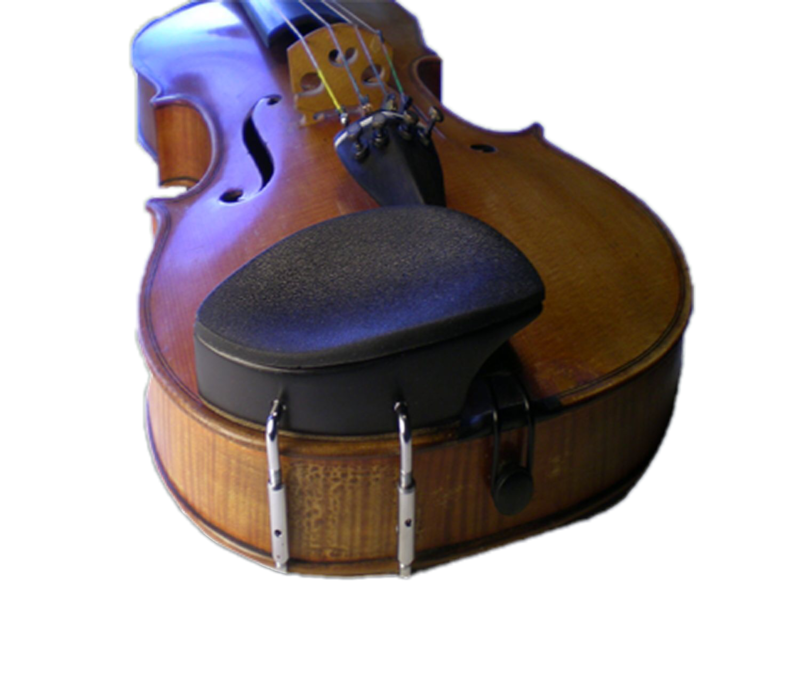 Ohrenform style GelRest, shown here mounted on a typical Ohrenform style chinrest. Fits both violin and viola. Dimensions: 124mm in Length by 62mm at the widest section. 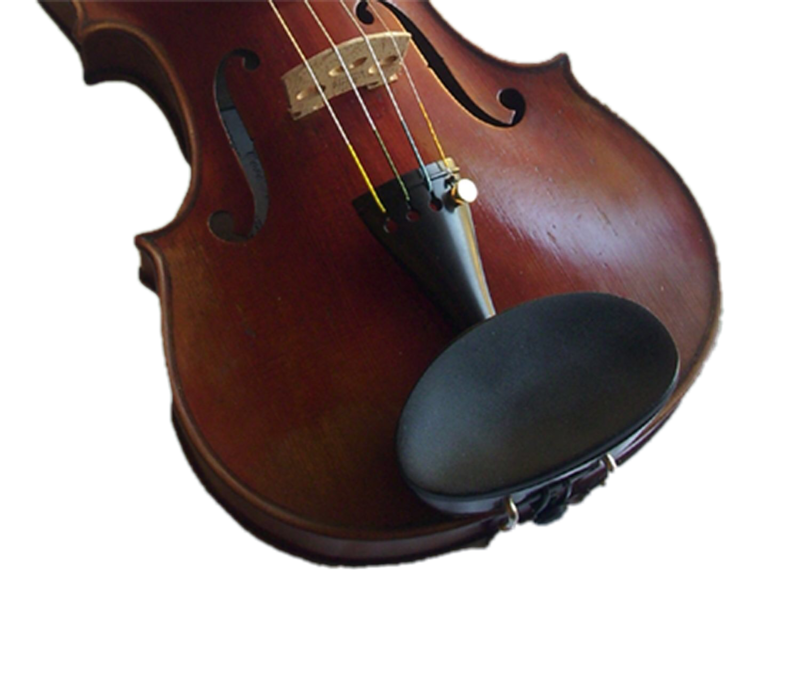 Kaufman style GelRest, shown here mounted on a typical Kaufman style chinrest. Fits both violin and viola. 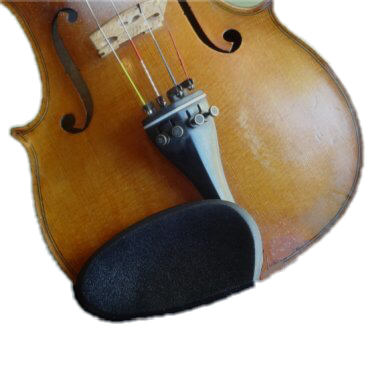 The Wittner style GelRest is a great fit for your 4/4 Wittner violin or viola left-mount chinrest. The peel-and-stick adhesive is extra strong to stick to the non-slip Wittner, or any plastic, chinrest surface.